You only have about two months each summer to climb Mount Fuji, Japan’s volcanic icon and highest peak, but everyone from tourist to local enjoys its powerful and moving presence year-round. Visiting in late autumn, I could never have predicted how much more was hidden by that impressive footprint. Rivaling those explorations, the ever-developing metropolitan areas of Tokyo and Yokohama proved equally entertaining, in radically different ways. Whether you love nature, or big city life, both parts of this trip prove you don’ t have to go far to experience Japan like no one has before. Taking a short hop on the express train and transfer to Kobuchizawa Station in Hokuto City, Yamanashi, my purpose was singular: single malt! 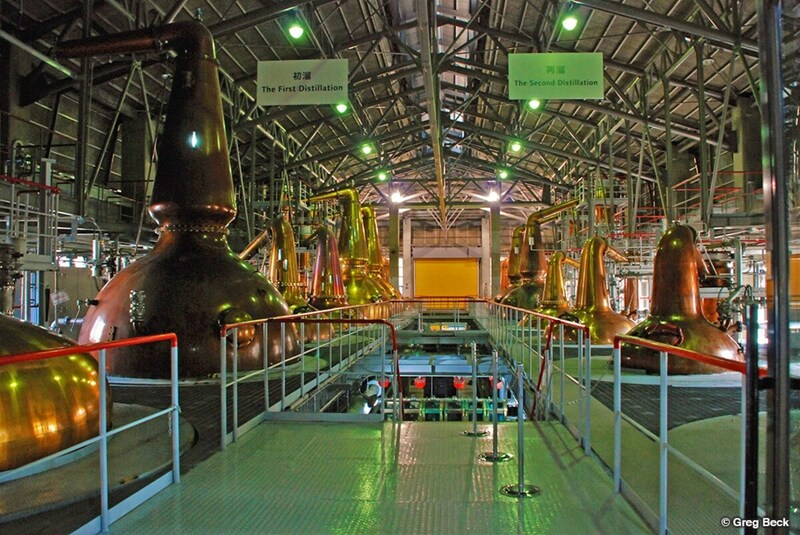 Nestled between Japan’s Southern Alps and Mount Fuji is Suntory’s Hakushu Distillery. The tour gave a fascinating education on whisky, from malt and peat, mash, distillation, White Oak barrel making and aging to the grand finale: a guided tasting. You don’ t have to drink to admire the craftsmanship, and the many intoxicating aromas hanging in the air were reason alone to visit! Other Recommendations: Daimin Restaurant and Shichiken Sake Brewery in Kofu City, Chikurin Tei Mizuho Ryokan (a.k.a. Ryokan Kikori, a traditional resort) and Isawa Hot Springs in Fuefuki City. The next day, it was time to focus back on Fuji, the mountain, volcano, temple, shrine (and even Shinto goddess) that was recently added to the UNESCO list of World Cultural Heritage Sites. Now, many people climb Mount Fuji, but how many go under it? The Funatsu Tainai Sengen Shrine is home to unique lava tree molds—tiny underground caves formed in the forests below Mount Fuji 1,400 years ago when lava erupted, uprooting trees and cooling around them. Decomposing, the trees left molds large enough to crawl through. After being discovered 1,000 years later, people have crawled inside, believing it to be the womb of Fuji’s goddess. Even now, it is believed that emerging from inside provides a spiritual rebirth. After being reborn myself, I went to the Togawa Oshi House, a 250-year-old home, now a museum and inn for the pilgrims of Fujiko. The Fujiko are a group of Buddhist and Shinto believers who still worship Mount Fuji to this day. Dressed in all white, adorned only with black and red woodblock-stamped prayers, they summit Mount Fuji every year they can, holding it sacred above all other places. At nearby Zuzuya, another oshi house, I got to make my own woodblock prints as souvenirs and good luck charms to commemorate my visit. As night fell early, I checked into Hoshinoya Fuji resort hotel. The high-end, eco-tourism-inspired service and amenities blew me away! The friendly, bilingual staff were constantly on-hand, offering campfire s’mores or local Koshu sparkling red wine. A delicious dinner that highlighted local and seasonal ingredients was followed by live music in their “library.” Returning to my room that chilly night, someone had lit the built-in fireplace on my balcony, so I sat outside, under the already warm kotatsu (a Japanese table, heater, and blanket, all-in-one), listening to music on the portable bluetooth speaker that also came with the room. Waking up to a view of Mount Fuji over Lake Kawaguchi—you would sooner believe it was a painting than real—I felt relaxed, recharged, and ready for more. Just down the street on the shore of Lake Kawaguchi were a botanical garden, farmers market and winter craft stalls just a few blocks apart, making me wish I had more time to stay. Taking a bus to Fuji’s southern half in Shizuoka Prefecture, my first stop in Fujinomiya City was the Jinba Falls. The waterfalls are small, but geologically unusual, because they are fed by spring water that slips out between the limestone and clay, rather than upstream rivers. The friendly locals of surrounding Inokashira Village use the naturally purified ponds and streams to cultivate lush watercress, wasabi plants, and even trout, as well as nationally recognized delicious rice. Overhead the sky is specked with paragliders who enjoy the surrounding nature, and a view of Fuji I will just have to imagine, for now. At the heart of the city, the same crystal clear water flows gently alongside Fujisan Hongu Sengen Shrine. The impressive grounds are home to 250 cherry blossom trees—and more than 150 weddings each year, including the day I visited! The sacred shrine is marked by crests of three powerful clans, including Toyotomi Hideyoshi, who unified Japan, and Tokugawa, the family of the shogun, demonstrating the shrine’ s historical significance. Traveling to Numazu, I stayed the night at the Sanyo-so ryokan. Once again, I enjoyed incredible kaiseki meals, natural hot springs, sprawling Japanese gardens and spacious tatami-mat rooms. Unlike other ryokan however, my bathroom included its very own hot spring bath that was always hot and full! For dinner I was joined by geigi, modern-day, local geisha, who drink and converse with you while you eat, as well as perform traditional instruments, song, and dance! Other Recommendations: Fujikawa Rakuza and Fuji Sky View Ferris wheel in Fuji City, the Imperial Villa Memorial Park in Numazu. The next day, I toured Mishima City. Another historically important city, both for the ocean views of Mount Fuji and its location on the primary path between Tokyo and Western Japan. A local volunteer guided me through Rakujuen, a now-privately-owned park (still open to the public), and through downtown to Mishima Taisha, the largest shrine in the area. She pointed out the revitalization efforts made by community to clean up their local streams. Differing from most places in Japan, in the warm months, children are now encouraged to jump in the gentle streams and play as they please. In the afternoon, I traveled to Gotemba to learn about the city’s promotion of “agri-tourism.” The highlight was my tour of the Katsumata Green Tea farm and factory. There, I met the lovably kind and quirky, 17th-generation owner and master traditional tea maker, Mr. Katsumata, along with his 18th-generation son. They are descendants of the Imagawa Samurai Clan, who were beaten in a famous battle by Oda Nobunaga. Rather than committing ritualistic suicide in defeat, their ancestor fled, changed his name to Katsumata, and started growing tea! Now, 400 years later, they continue to produce many kinds of tea, including organic green tea. Other Recommendations: Minori Restaurant, Kaya no Sato (silvergrass farm and crafts), Mars GardenWood Gotemba Hotel. accommodations and foreign-friendly signs and public transport. In addition to being popular with anime-lovers as the dystopian, future setting for Neon Genesis Evangelion, it has an even more impressive history as a hot spring town, government checkpoint, and woodcrafting mecca. 200 years ago, a man named Ishikawa Nihei invented a wood marquetry style here called yosegi, and its influence can be found throughout the city. Matryoshka—Russian nesting dolls—are also said to be based on similar crafts from Hakone! Hakone yosegi zaiku crafts include these as well as puzzle boxes, sculptures and patterns. As I worked my way closer to Tokyo, I stopped in Yokohama, Kanagawa’s largest city. The major, metropolitan city offers shopping, a theme park and an exciting nightlife with concert venues and bars, but first on my list of places to go was the Shin-Yokohama Raumen Museum. While there is a small area dedicated to outlining the history of Japanese ramen, walking downstairs into the main basement, you are transported to the year 1958! The vaulted ceiling is painted like the sky, and nine different ramen storefronts on both levels display period movie posters and advertisements. I tried three of the restaurants before I was too full to go on. All were good, but my favorite was the Nidai-me Genkotsu-ya ramen. You probably know plenty of things to do in Tokyo, but if you want to do something none of your friends have, start off in Asakusa. You will want to go for the excellent Senso-ji Temple and surrounding market stalls already, but while I was there, I went to Taiko-Lab, a one-hour crash course in traditional Japanese drumming, and had a great time of it. Afterward, I hopped aboard a river cruise and stood on the rooftop deck, enjoying views of Tokyo Skytree and Tokyo Tower as we sailed south down Sumida River. From there it wasn’t far to Japan’s official State Guest House, or Geihinkan, the Akasaka Palace. The European-inspired architecture, sprinkled with subtle Japanese symbolism, a Japanese-style annex with a storied history of visiting heads of state, and beautifully landscaped grounds were impressive both for their beauty and elegance. I arrived just a week after the current U.S. president met in the very same spot with sitting Japanese Prime Minister Abe! From there I headed to my final destination: the Shibuya VR Park Tokyo. Less than US$30 buys you 90 minutes of unlimited access to 11 virtual reality games and experiences, as well as a free soft drink bar. If you can, definitely go with a friend, as some of the most fun games allow for two players. I took this trip on the road, discovering amazing hotels and ryokans, but you could just as easily make daytrips to these amazing locations from Yokohama or Tokyo. 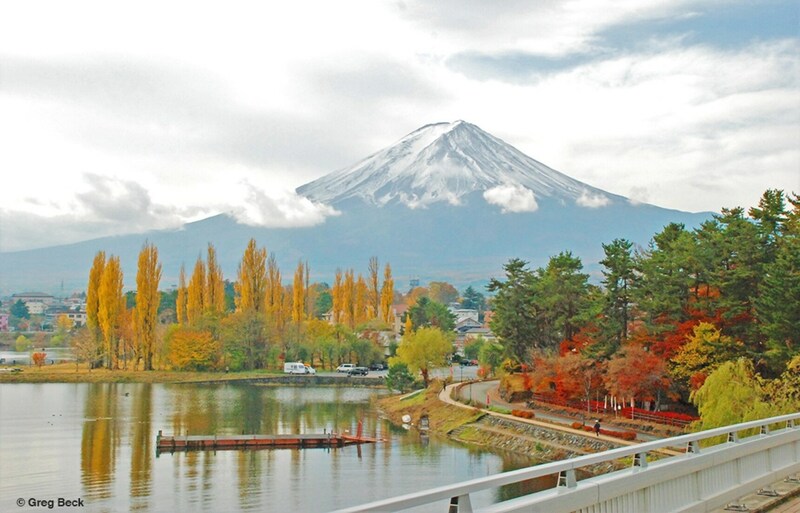 Whatever your next trip, remember that Fuji is more than another mountain! Writer, journalist, and home brewer. University of Arizona graduate, unrepentant host to the travel bug.